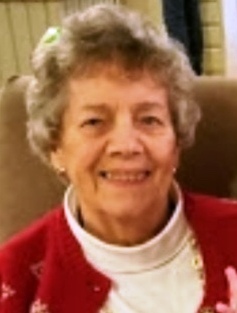 Helen Gragg (Hill) Grundstrom, 85, of Railroad Ave. Rowley, wife of John E. (Jack) Grundstrom, passed away peacefully at Beth Israel Hospital in Boston on Sunday, January 13, 2019. She was surrounded in life by loving family and friends. Helen was born on April 30, 1933 in Newburyport, daughter of the late Ralph C. and Olive (Dawson) Hill. She grew up in Ipswich until 1952 when she married Jack and moved to Rowley where she spent the next 67 years. Besides her husband she is survived by her daughters Deborah Grundstrom, Jan Saunders and her husband Joseph, son John Grundstrom and his wife Karen. Grandchildren Kristina Hardy and her husband Mike, Alyssa Grundstrom, Patrick Saunders and his wife Kelsey, Sean Saunders, Kelsi Rocha-Grundstrom and her husband Denys, and great grandson Landon Andres Rocha-Grundstrom, and several nieces and nephews. She was pre-deceased by her brother Howard D. Hill. She was employed as a secretary at Triton Regional School and New England League of Middle Schools for many years. She enjoyed cooking, gardening, trips to Disney and any activities involving family and friends. In lieu of flowers, donations may be made to her favorite charity Running Strong for American Indian Youth, 8301 Richmond Highway, Ste. 200, Alexandria VA 22309 or on-line indianyouth.org. At Helen’s request, there will be no services. There will be a private celebration of her life at a later date.